Customer support can mean many things. Many industrial processes require specialized computers to run the equipment and controls. Some computers are specialized for unique functions; others are hardened so as to take the heat and dirt of a factory floor; some are constructed to withstand cold or water immersion. These mission-critical computers must keep functioning at top performance in these challenging environments. A manufacturer of specialized computers came to Crow Canyon to build a customer support and service system to make sure all customer issues are handled promptly and effectively. One requirement was to use SharePoint as the platform for the application. Crow Canyon built a two-tier system. 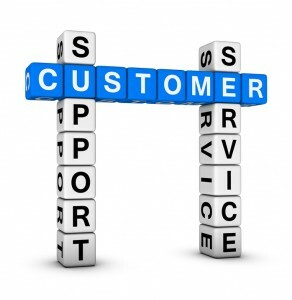 The front-line Support Desk handles the initial phone call or email to the manufacturer’s support desk. The incoming issue is recorded and assigned. The support staff aims to resolve the issue by phone or email, if at all possible. Knowledge base articles, manuals, and other documentation are available to the Support Desk to assist with responses. However, not all issues can be resolved by the front line. Crow Canyon put in a second-line Service Desk to manage the process when a faulty device needs to be sent back to the manufacturer. The Service Desk must issue RMA’s, track shipping, issue repair quotes, interact with the customer to get approval for the quotes, then make the repairs so that the refurbished computer can be quickly shipped back to the customer. With a smooth interaction between the Support and Service desks, and careful handling and tracking of all issues, the manufacturer is able to speedily respond to customers and keep these critical computers up and running.